We’ve all seen the headline. The scientific consensus is pretty clear at this point: playing tackle football causes brain damage. Study after study confirms that the game we have all come to love and is such a central part of our culture is damaging the brains of our favorite pro athletes. But unfortunately, the story doesn’t end there, as the evidence is very clear that college, high school, and even earlier exposure to football in youth leagues causes brain damage in our own children. There’s no longer a serious question as to whether football is safe. I understand the dilemma quite well. I understand the pull of the game and the role it plays in our culture. But I’m also a PhD neuroscientist where my job, for the last 22 years, has been to understand how the brain works and how it responds to damage. I’ve focused most of my work on how the brain responds to loss of hearing (by reorganizing and resulting in tinnitus or hyperacusis or other symptoms). 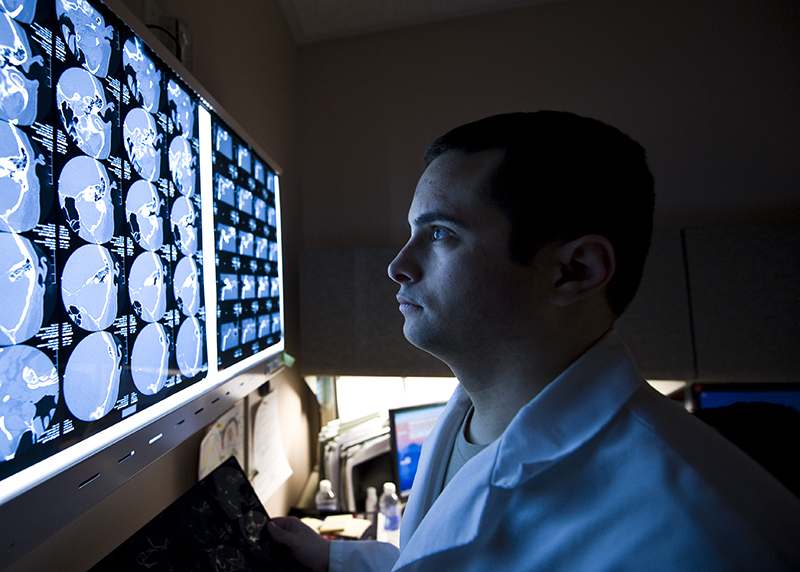 I spend my professional life reading about the brain, teaching college students about the brain, and conducting experiments to better understand how the brain works and responds to injury. Before that, I grew up in Jacksonville, IL and played JAYFL youth football and then high school football at Routt. I loved the game. I remember walking away from plays in every practice and game with a headache or other symptoms and considered that a sign that I had done something heroic. I know now that I was killing brain cells. Recent studies make it clear that the problem is great. 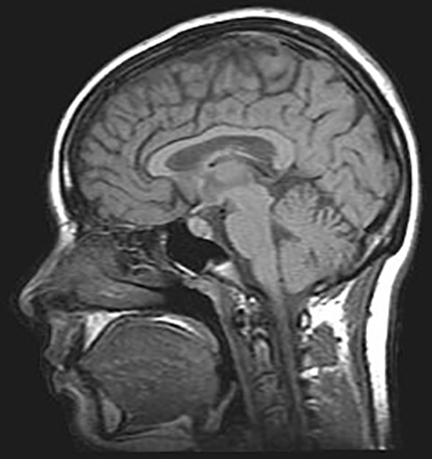 A whopping 99% of former pro football players studied have CTE – brain damage that expresses as an abnormal expression of the Tau protein in the brain and is associated with severe cognitive and emotional consequences such as memory problems, depression, anxiety, impulsivity, agitation, explosive tempers, sleep problems, and many more symptoms. If the problem ended there we might be satisfied in thinking that these are professional athletes, and they are paid millions of dollars to put their body on the line for our entertainment. But it doesn’t end there, as CTE is present in a stunning 91% of the brains studied from men who stopped playing football at the college level! And when looking at the brains of those who only played high school football, a striking 21% of the brains showed the damage. (As a reference, the tau protein aggregation seen is very abnormal: a recent study showed it was present in none (0%) of the control athletes who participate in a non-contact sport.) Critics of the research argue that these are extreme cases of individuals who have taken their own lives or who have died due to their symptoms and their families saw fit to donate their brains for study because they suspected something was wrong. That is a fair criticism, just as the lung cancer research world had to rely on humans who died of lung cancer to see the link. Just how pervasive the problem is, is not clear at this point. But waiting to do something about the problem until we understand everything about it is the same strategy taken by the tobacco companies decades ago regarding the link between smoking and lung cancer. There’s simply no question at this point that the act of playing football causes widespread, measurable brain damage in athletes from pee-wee leagues through high school, college and professional levels. Many of you are thinking that if we just do a better job of educating kids about concussions, that will fix it. Sorry to say that doesn’t do it at all, as concussions aren’t the problem. The real problem is the fact that a typical day of football practice might include many dozens of mild hits to the head, and each one of these hits jars the brain tissue around and causes some damage. Over the course of a single season, a high school or college player is expected to accrue roughly 1,000 such hits to the head, each one causing microscopic damage, which accumulates. So even without a single concussion, players accumulate brain damage over the course of the season that has been documented in studies of high school and college football players to lead to problems with memory, academics, emotions, and sleep. These issues are seen at some of the highest rates in linemen who don’t necessarily lead with their head or get a concussion, but who on every play explode forward to collide with another player, and in so doing, their brain jiggles around inside their skull a little. To be perfectly clear, measurable brain damage using imaging techniques, as well as memory/cognitive issues are seen even in studies of high school or college players with no documented concussions! So, it’s the many small hits to the head that cause the problem. There’s no way to make a better helmet or better train or educate students to take all such blows to the head out of the game. In fact, what we see happening is that when athletes learn more about the problem of head injury, and as high school and college regulations require students with concussions to be removed from play, the end result is that athletes don’t report their symptoms because they know that means they won’t be able to play for the rest of the game, or longer. We see the same thing at the professional level, where famous players have had concussions but later explain that they didn’t report it because it would take them out of the game. Expecting a testosterone-laden high school or college-aged student to self-report their headache or dizziness or other symptoms, which automatically get them removed from competition until a medical professional clears them to return in a later game, is the height of ignorance. Indeed, studies suggest that only a small fraction of concussion symptoms gets reported–only 1 out of 17 such events were reported in one study! This problem brings up two important questions: Who is responsible for this problem, and what are we going to do about it? 1) Who is responsible for this problem? We can recognize that it’s not the athlete, either due to their age or the fact that their culture, coaches, administrators, schools, and parents have taught them this is okay. That leaves the rest of us to blame. The coach is clearly responsible for promoting the game, but many coaches are paid to lead such teams and have their entire career and personality wrapped up into their coach role. It’s easy to understand why coaches would dismiss such research or argue that it somehow doesn’t apply to them or their players. Trainers and other medical professionals also risk their participation being seen as an implicit support for the safety of the game. But their careers/pay are also often contingent upon the game continuing, so I can also see their conflict of interest. I have had plenty of conversations with people in this group and they certainly recognize the problem. It is probably best for them to stay engaged with the sport as long as it exists because at least the sport has some medical professional present for educational purposes and to help track/treat the more obvious brain injuries when they occur. The real responsible parties here are three other groups of individuals, 1) the parents who allow their kids to participate, 2) the fans who willfully sit by and watch the events and cheer on their team as blows to the head occur on every play, and 3) and the school administrators who sanction such events. Most of us fall into one of these categories. First, as for parents, we have seen dramatic reductions in football participation among youth and high school teams over the last few years, as players and their parents have seen the research emerge. Hopefully that trend continues. But as long as trainers and medical professionals and schools continue to sanction and support this game, students and their families will assume they are being kept safe. My hope is that more parents will read articles like this or look into this research and make the very obviously right decision to not let their children play football. But I understand the struggle this creates, within families and communities. 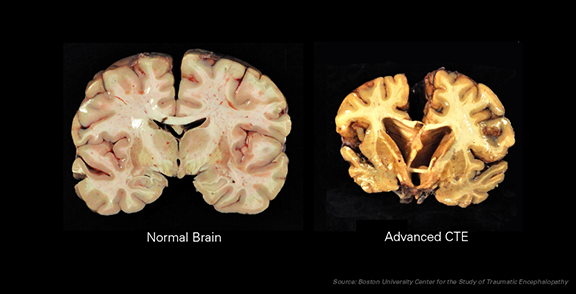 Most parents simply do not understand what the science says, or how clear it is, or how the brain damage problem is not just confined to pro athletes. In a very real way, letting your child play football almost ensures that your child will sustain brain damage over the course of the season. The evidence is very clear that even playing a single season of high school football with no documented concussions results in measurable brain damage. No parent wants their kids to suffer brain damage. But few parents truly understand the risk. Second, as for us fans, we implicitly support the brain damage occurring in our kids/students when we support football. Whether we’re cheering that major hit in a televised game that knocks an opposing player out, or just a good solid tackle on the college, high school or youth field, we’re sending the message to our kids and students that this is a legitimate activity that you support and that they will be okay. Kids don’t think their parents would let them do something that would harm them, so they trust you to make that decision for them, taking their long-term interests into account. It should be a clear message to us that pro football icons like Brett Favre, Troy Aikman, Terry Bradshaw, and Mike Ditka have all indicated that if they had sons today they wouldn’t want them to play football. They see up close and personally the toll that football takes on the brain, and they know better than to subject their kids to such brain damage. Third, I believe it is on the shoulders of the school leaders to recognize the buck stops with them. This means the high school Deans, Principals and School Board Members, and college Deans, Presidents and Trustees, are ultimately to blame for putting their support behind a game that causes known brain damage in their students. This is particularly ironic and egregious given the primary role of high schools and colleges is to help nurture the development of the brain. When we learn that as a society we are sanctioning and actively supporting a game for our kids to play that causes brain damage in them, we should stop doing it! To put the decision on the backs of the children is unfair, as they don’t know any better. To put the decision on the shoulders of the coaches or trainers who make a living from the sport is also silly. We are the grown-ups here. We don’t promote boxing as a school sport. We don’t host youth, high school or college smoking teams, which one could argue might actually be safer than football given the relative risk statistics. 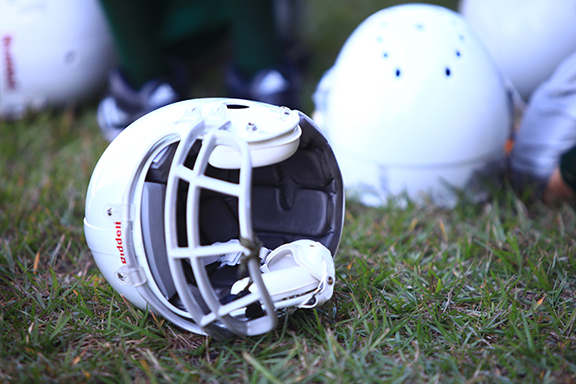 As public officials, as school administrators, and as parents, we have to recognize that the game is damaging the brains of our children, and we should have the courage to actually do something about it. Our children only get one brain for the rest of their lives. When we let them play football and encourage it through youth, high school and college years, we are causing harm to them. Those years could have been spent developing other traits, expertise, interests. The argument that children learn social skills and leaderships and teamwork and sportsmanship in football is shallow, as it assumes they couldn’t also develop those traits in other sports or other activities. As long as students focus on football through high school and college, they may be doing so at the expense of other aspects of their life: academically, socially, artistically, etc. I have had more conversations than I am willing to admit with college seniors who have spent the better part of their last 8 years (high school and college) focusing all of their energy on football, only to realize that they have no idea what to do next with their lives. Given the brain damage they’ve sustained and the all of the time they could have spent developing other traits and expertise, they are often very underprepared for the next phase in their life. So, I am encouraging all area high schools and colleges to begin phasing out their support for football. Sanctioning and supporting a school-related activity known to cause brain damage is irresponsible and negligent, not to mention inconsistent with the mission of any high school or college. The hundreds of thousands of dollars it would save at Illinois College alone could be used to advance other amazing sport or co-curricular activities of our students. If school administrators choose not to phase out their support for football, I’d suggest at the very least that they employ a plan that includes much better training for coaches and players and more heavy use of medical professionals/trainers in practices and games. But, I’d also recommend they find a good legal firm and make sure they bolster their organization’s insurance coverage, as they’re providing support for a school-sponsored activity known to cause brain damage in its participants. We can no longer use ignorance as a crutch to justify our support for this 19th century brutal, brain-damaging game. Jacksonville has historically been known as a site for academic leadership at both the high school and college levels. It’s time to regain some of that reputation by helping to steer both the IHSA and NCAA Div. III the right direction. We do this by changing our own behavior first, and others will follow. How the leaders of our academic institutions respond to this clash between science and football culture will say a lot about their priorities for our children, for good or bad.